There are some projects that you can “do it yourself”. Others, maybe not so much, for example turning your scary basement into a livable space. When you hire Della-Calce Contracting our professionals will transform your basement from fear to cheer. 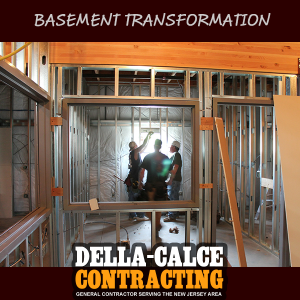 Visit www.DellaCalceContracting.com to get started. A contractor you can rely on! Looking to build, add-on, or renovate? From start to finish we’re here to help! Has your roof survived the winter? Scared of the April and May showers? Give us a call and let’s get you a FREE ESTIMATE on your roof.